CrowdStrike Antivirus Resource Monitor is a small utility written for Windows to measure the resource usage of your existing AV solution. The intent of the Resource Monitor tool is to recognize the current antivirus solution installed on a system and monitor it for resource usage (disk space used, maximum CPU usage, RAM usage, etc.) and produce an easy to read performance score. 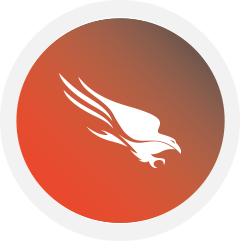 Falcon Orchestrator is an open source tool built on CrowdStrike’s Falcon Connect APIs. 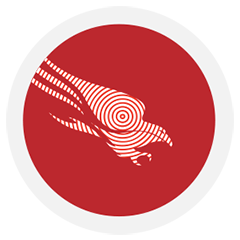 Customers can take advantage of powerful workflow automation and case management capabilities, as well as extendable wide range of security forensics and remediation actions which work in conjunction with and complement the capabilities of CrowdStrike Falcon. CrowdStrike ShellShock Scanner is a free tool aimed to help alert you to the presence of systems on your network that are vulnerable to the Bash ShellShock vulnerability. CrowdStrike Heartbleed Scanner is a free tool aimed to help alert you to the presence of systems (such as web servers, VPNs, secure FTP servers, databases, routers, etc.) on your network that are vulnerable to the OpenSSL Heartbleed vulnerability. 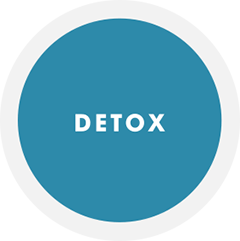 The CrowdDetox plugin for Hex-Rays automatically removes junk code and variables from Hex-Rays function decompilations. This allows security researchers to analyze malware more easily, efficiently, and effectively. Supported Operating Systems: This distribution comes with pre-built versions of the plugin for Windows, Mac OS, and Linux. CrowdInspect is a free community tool for Microsoft Windows systems that is aimed to help alert you to the presence of potential malware are on your computer that may be communicating over the network. It is a host-based process inspection tool utilizing multiple sources of information to detect untrusted or malicious network-active process. The tool is leveraging intelligence from VirusTotal, Web of Trust (WOT), and Team Cymru’s Malware Hash Registry. CrowdStrike ShellShock Scanner is certified as a Trusted Download application by TRUSTe signifying that the ShellShock Scanner has been tested by TRUSTe for compliance with TRUSTe’s TDP program requirements including transparency, accountability and choice regarding the collection and use of your personal information. TRUSTe's mission is to accelerate online trust among consumers and organizations globally through its leading privacy trustmark and innovative trust solutions. If you have questions or complaints regarding the scanner, please contact us at CrowdStrike, 15440 Laguna Canyon Road, Suite 250, Irvine, CA 92618 or by email at privacy@crowdstrike.com or by phone at 1.888.512.8906. If you are not satisfied with our response you can contact TRUSTe here. Please read this software license agreement carefully before downloading or using the CrowdStrike Shellshock scanner software and its documentation (together, the software). by clicking Accept, downloading, or using the software you are consenting to be bound by this agreement. If you do not agree to all of the terms of this agreement, click Decline and do not otherwise download, install or use the software. What Is CrowdStrike Shellshock Scanner? CrowdStrike ShellShock Scanner is a free tool for Microsoft Windows systems aimed to help alert you to the presence of systems on your network that are vulnerable to the bash shell ShellShock Vulnerability. CrowdStrike, Inc. (CrowdStrike) grants to the user ("You" or you) a free, nonexclusive license to download, install, run, copy, use and distribute the Software in object code form. If you may make copies or distribute the Software, you must include this Software License Agreement, the readme file, and the copyright notices in the files and not charge a fee. The Software should only be used to scan systems that you own or control or have permission to scan. You are solely responsible for determining the appropriateness of using or redistributing the Software and assume any risk and all liability associated with your exercise of permissions under this Agreement. YOU SHALL NOT: SELL, RENT, LEASE, MODIFY, CREATE DERIVATIVE WORKS, REVERSE COMPILE OR REVERSE ASSEMBLE ALL OR ANY PORTION OF THE SOFTWARE. YOU SHALL NOT: USE THIS SOFTWARE FOR ANY UNLAWFUL PURPOSE. The Software is licensed and not sold to you, and no title or ownership to the Software or the intellectual property rights embodied therein passes as a result of this Agreement or any act pursuant to this Agreement. All rights in and to the Software not expressly granted to you in this Agreement are reserved. The CrowdStrike name, the CrowdStrike logo and the product names associated with the Software are trademarks of CrowdStrike and no right or license is granted to use them other than in connection with the use of the Software as allowed by this Agreement. You agree that if you give us any suggestions, comments and feedback regarding the Software, they can be used by us for any purpose for free. THE SOFTWARE IS PROVIDED AS IS WITHOUT ANY WARRANTY WHATSOEVER. CROWDSTRIKE, ITS AFFILIATES AND LICENSORS DISCLAIM ALL WARRANTIES, WHETHER EXPRESS, IMPLIED OR STATUTORY, INCLUDING BUT NOT LIMITED TO THE IMPLIED WARRANTIES OF MERCHANTABILITY, FITNESS FOR A PARTICULAR PURPOSE, ACCURACY, RESULT, EFFORT, TITLE AND NON-INFRINGEMENT, OR ARISING FROM A COURSE OF DEALING, USAGE, OR TRADE PRACTICE. WARNING POSSIBLE DAMAGE OR DISRUPTION. The Software scans systems and may cause instability, disruption or damage to systems and data thereon. CrowdStrike disclaims responsibility for costs in connection with disruptions of and/or damage to your or a third party's information systems and the information and data contained therein, including, but not limited to, automatic shut-down of information systems caused by intrusion detection software or hardware, or failure of the information system resulting from the use of the Software. IN NO EVENT WILL CROWDSTRIKE, ITS AFFILIATES, OR ITS LICENSORS BE LIABLE FOR ANY LOST REVENUE, PROFIT, OR DATA, OR FOR DIRECT, SPECIAL, INDIRECT, CONSEQUENTIAL, INCIDENTAL, OR PUNITIVE DAMAGES HOWEVER CAUSED AND REGARDLESS OF THE THEORY OF LIABILITY ARISING OUT OF THE USE OF OR INABILITY TO USE THE SOFTWARE EVEN IF CROWDSTRIKE OR ITS SUPPLIERS HAVE BEEN ADVISED OF THE POSSIBILITY OF SUCH DAMAGES. This Agreement and the license are effective until terminated. You may terminate this Agreement at any time by destroying all copies of Software including any documentation. This Agreement will terminate immediately without notice from CrowdStrike if You fail to comply with any provision of this Agreement. Upon termination, You must destroy all copies of the Software. 7. Import Regulation and Export Control. The Software, including technical data, is subject to U.S. export control laws, including the U.S. Export Administration Act and its associated regulations, and may be subject to export or import regulations in other countries. You agree to comply strictly with all such regulations and acknowledge that You have the responsibility to obtain any necessary licenses to export, re-export, or import the Software. This Agreement shall be governed by and construed in accordance with the laws of the State of California, United States of America, as if performed wholly within the state and without giving effect to the principles of conflict of law. If any portion hereof is found to be void or unenforceable, the remaining provisions of this Agreement shall remain in full force and effect. This Agreement constitutes the entire agreement between the parties with respect to the use of the Software. HeartBleed Sensor is certified as a Trusted Download application by TRUSTe signifying that HeartBleed Sensor has been tested by TRUSTe for compliance with TRUSTe's TDP program requirements including transparency, accountability and choice regarding the collection and use of your personal information. TRUSTe's mission is to accelerate online trust among consumers and organizations globally through its leading privacy trustmark and innovative trust solutions. If you have questions or complaints regarding HeartBleed Sensor, please contact us at CrowdStrike, 15440 Laguna Canyon Road, Suite 250, Irvine, CA 92618 or by email at privacy@crowdstrike.com or by phone at 1.888.512.8906. If you are not satisfied with our response you can contact TRUSTe here. Please read this software license agreement carefully before downloading or using the CrowdStrike Heartbleed scanner software and its documentation (together, the software). by clicking Accept, downloading, or using the software you are consenting to be bound by this agreement. if you do not agree to all of the terms of this agreement, click Decline and do not otherwise download, install or use the software. What Is CrowdStrike Heartbleed Scanner? CrowdStrike Heartbleed Scanner is a free tool for Microsoft Windows systems to help alert you to the presence of systems on your network that are vulnerable to the OpenSSL Heartbleed vulnerability. CrowdStrike Heartbleed Scanner does not need to be uninstalled. It does not have a separate uninstaller. Instead, all you need to do to remove it is to move it to the Recycle Bin or delete it.